Kouachi wife: Husband's radical violence a shock, lawyer says. Said, left, and Chérif Kouachi. A lawyer for Charlie Hebdo shooter Said Kouachi’s wife says she did not know her husband was a religious extremist, while a representative of his brother Chérif’s wife says she is “stupefied” by the pair’s actions. “She doesn’t understand at all. Today she feels that she lived a lie. She had a normal life with a normal man, who didn’t show any radical views at home. Even after hearing the information, even after the police arrived and she heard what happened she couldn’t believe it. 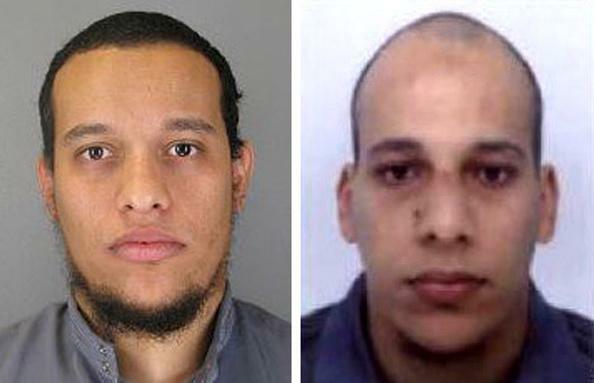 Flasaquier added that Kouachi’s wife said he did not speak of religion or politics at home. Christian Saint-Palais, an attorney representing Chérif Kouachi’s wife, Izzana Hamyd, says Hamyd had “the same reaction of that of the entire nation” to the attacks and that she “expressed her indignation and condemnation of violence” to police. She did not know about the Charlie Hebdo plans, Saint-Palais says.